Los Angeles Charter Bus Company is your top choice for bus rentals to any and all wedding events. From bachelor and bachelorette parties to the day of your ceremony, let us make group transportation easy for everyone. 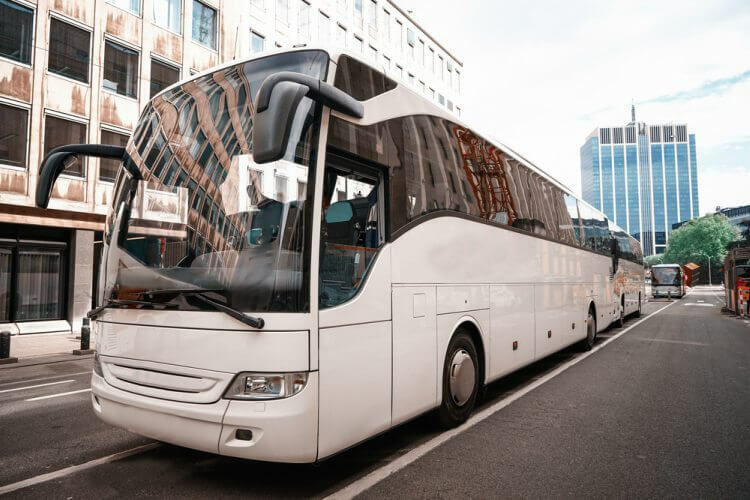 With a selection of small minibuses for shuttle services or full-sized coaches for long-distance travel, we’re well-prepared to find the perfect coach for all of your wedding transportation needs. Call us with questions any time at 310-667-6197! If your wedding is spread across multiple venues, don’t spend your day stressing about how your guests will get around. With a minibus acting as your personal shuttle, your guests will be guaranteed transportation to the ceremony, to the reception, and back to the hotel at the end of the night. There’s never any guarantee that your guests will be able to park at their hotel or at the venue, especially in a busy city like Los Angeles. When you book a bus with LA Charter Bus Company, we’ll pair you with a driver who knows the city and who will pick up your guests from any predetermined pickup area. No one will have to walk or pay for a rideshare service; everyone will arrive on time. No one will need to worry about nominating a designated driver, paying for rideshare services, or walking to get home at the end of the night. Your driver will ensure that every last guest is transported back to the hotel safely and efficiently so that everyone can enjoy the celebration stress-free. Our services aren’t just limited to the wedding day-- book with us for simplified transportation to bachelor or bachelorette parties, showers, rehearsal dinners, and more. Ready to book your bus? Call Los Angeles Charter Bus Company any time at 310-667-6197 to get started today!